Genre: Hack 'n' Slash; Action/Adventure. Many games have tried to balance production, gameplay and scale, but all too often one element starts to overshadow the others. A game may look gorgeous, but lacks substance to keep you interested. Another game may try to reach high with its ambitions, but it lacks neither the production nor gameplay to keep you going. It’s admittedly a difficult juggling act, and one which all too often ends in spilt milk and crying gamers around the world. But there is one game – a tale of vengeance, bloodshed and tragedy – which deftly balances these all together, and made for perhaps one of the best games to come out in its generation, if not of all time. That game is God of War. You can tell this is a Greek tragedy from the opening line of dialogue, as Kratos – the game’s protagonist – claims there is no hope, and throws himself off the tallest cliff in Olympus. A flashback ensues, showing how Kratos was cruelly tricked by Ares into killing his own family and now must bear the weight of guilt through the pale ashes which cover his body. Naturally, Kratos wants nothing but to see Ares’ blood spill, and in exchange for killing him, the gods will grant him freedom from this pain. 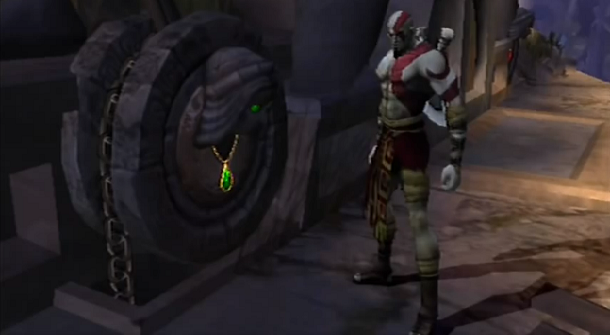 It seems straightforward, but the story is bolstered by Kratos himself. He is one of the most memorable anti-heroes in recent memory, as you can’t help but sympathise with him for how he has been treated, yet also wince at his sheer determination which often causes him to perform morally-questionable actions. Smartly, information about Kratos is slowly fed through gorgeous CG cut-scenes, and by the final fight, you can’t wait to murder the evil right out of Ares. God of War is an epic journey in a multitude of ways. Though it is single-player only, expect to spend close to fifteen hours playing, and it takes you through a variety of mythological Greek locales. You’ll traverse the Mountains of Olympus, work your way through the Rings of Pandora and even take a trek into Hell itself. It’s certainly a lot of meat on the bones, but God of War keeps you engaged by ensuring you’re never bored at any turn. There are three main elements which anchor God of War’s impressive story of vengeance: combat, puzzles and production. Inhuman! Or in more PR-positive speak: Superhuman! Combat, on the surface, seems a little simplistic. 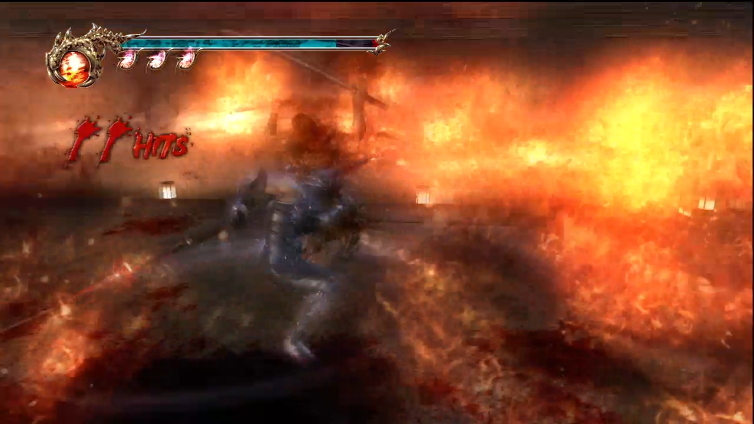 It moves away from the combo-based action of games like Devil May Cry, though meshing light and heavy attacks can create some sick combos. Kratos starts equipped with the Blades of Chaos which – in macabre fashion – are seared to his skin. Soon you gain extra weapons and magic powers bestowed to you by the Gods, including the power to freeze enemies using Medusa’s head and even summon the forces of hell to aid you in battle. What keeps combat exciting is the enemy design, utilising a wide range of mythical Greek creatures such as Cyclops, Sirens and Centaurs. Killing said creatures requires a wide range of tactics, meaning you’re forced to utilise all your tools of destruction. It keeps the action fresh and exciting, and the sheer brutality of combat is a treat. Bigger foes can be finished with QTE cut-scenes, which are often brutal and jaw-dropping. It’s impressive how God of War doesn’t sacrifice style over gameplay, keeping these impressive kill animations in your control. Puzzles also come into play frequently, breaking up the action nicely and – more importantly – keeping you on your toes. Sony Santa Monica smartly utilise many traps and dangerous pitfalls which are famed in Greek Mythology, and though that means a fair bit of block pushing and switch turning, plenty of challenging brainteasers are presented to you, but perhaps more impressive is the size of some of these puzzles. The best example of this is Pandora’s Temple, which in itself is basically one huge puzzle section. A multitude of smaller challenges add up to one great sequence, and it definitely leaves you feeling accomplished once you crack the whole solution. Combat may be easier on lower difficulties, but these puzzles remain a treat no matter what. Though these two elements are great on their own, God of War truly shines in how it all comes together. You never feel as if the game becomes dull, as a deft mix of combat and puzzle-solving keeps things fun despite the game’s lengthier run time. It’s just one of the best designed action games in a long time. Highlights of the game often come from the impressive boss fights, which challenge you to balance offence and quick footwork. Much like many elements of the game, their sheer size is also impressive: the opening sequence has you fighting a humongous Hydra creature, all the while scaling your ship to reach it. Other fights are just as impressive, benefiting from challenge and hugely exciting quick-time finishes, which dramatically conclude your encounters in the best possible fashion. Epic doesn’t even begin to describe these fights. 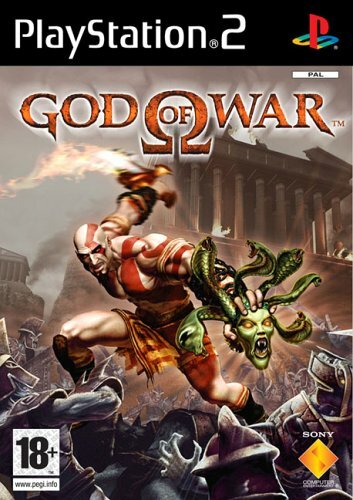 Kratos, beating enemies with their own limbs, since 2005. Gameplay is pretty much top tier, but God of War also has a fantastic production backing its amazing action. Every locale feels huge in scope, with highlights including Pandora’s temple which is strapped to the back of a Titan, and even the more mundane locales feel well rendered and larger than life. Both Kratos and the monsters look good, benefiting from terrific animation which is seamless during combat. There’s just a sense of beautiful artistry going on, with everything steeped in Greek mythology. Gruesome moments punctuate the experience, reminding you this is essentially a Greek tragedy, and the lack of load times or frame rate stutters makes the experience all the more impressive technically. The audio is no slouch either: a beautiful orchestral score accompanies the game extremely well, with some memorable tunes such as the main theme. 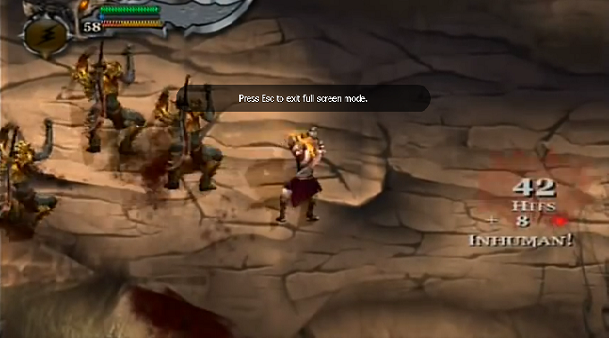 The macabre sound effects add to combat, and the voicework is strong – particularly Terrence Carson as Kratos, who nails the vengeful anti-hero perfectly. God of War is one of the all-time greats in gaming. It easily ranks at the top of the PS2’s library, and is still a standard bearer for action games, hack ‘n’ slashers and production. Never before was presentation and gameplay so smoothly balanced – something which a lot of modern games seem to forget – and the experience is steeped in exciting moments, Greek mythology and even some light humour. It’s not just a one-ride horse either, as unlockable extras and intense difficulties – particularly the sadistic God mode – keep you coming back for more. Unless you’re the squeamish type, or are allergic to good games, God of War is an essential addition to anyone’s library.